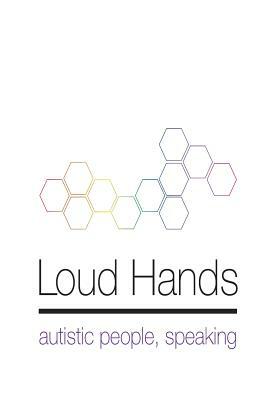 The Loud Hands Project, a project of the Autistic Self Advocacy Network, was funded through IndieGoGo to create an anthology titled Loud Hands: Autistic People, Speaking. Loud Hands: Autistic People, Speaking is a collection of essays written by and for Autistic people. Spanning from the dawn of the Neurodiversity movement to the blog posts of today, Loud Hands: Autistic People, Speaking catalogues the experiences and ethos of the Autistic community and preserves both diverse personal experiences and the community’s foundational documents together side by side. This is not a book written about autistic people by non-autistic people. It's written by autistic people themselves, and is therefore highly compelling and positive and turns all the tragedy-oriented books on their heads. I have not finished it; it's a meaty book. The first part deals with the history of the autism self-advocacy movement and it is fascinating and wonderful to read about the way in which autistic folks have taken control of the bs that others have been churning out for so long. I am the grandma of an autistic boy, so I know firsthand that special challenges don't translate into anything vaguely resembling tragedy. Read this book! It will drown out the voices of Autism Speaks and others that have misinformed us for years. My five star rating is due to the groundbreaking importance of this book. It was written and edited by autistic people about their experiences and the urgent need to reform medical perspective and practice. A must read for anyone unfamiliar with neurodiversity theory and its applications. I can't recommend this book enough. I found these articles to be so insightful. My son was recently diagnosed with Autism, and I wanted to hear from Autistic adults. It seems that there are thousands of books about Autism by non-Autistic people, and it seems strange that Autistics themselves are being largely left out of the conversation! This book is one that helps fill that void. If you are interested in Autism, or have a loved one on the spectrum, this should be a must-read! MUST READ. If you live in this world, this is a must read. If you teach, this is a must read. If you parent, this is a must read. If you interact with other people, this is a must read. Seriously. Buy. Read. Now. This is a wonderful book. Getting the perspective of autistic adults is the most valuable part to me. But all the other perspectives are also relevant and important too. This book is so worth reading!! I would say for any parent of an autistic child or adult this is a MUST READ! Also invaluable for any service provider or person working with autistics of any age. If you want to get an understanding of the autistic rights movement this book will educate you and give you a good basic understanding of that movement. I would follow up with reading any thing you can get your hands on by the autistic authors and some of the others as well. This is an amazing book!